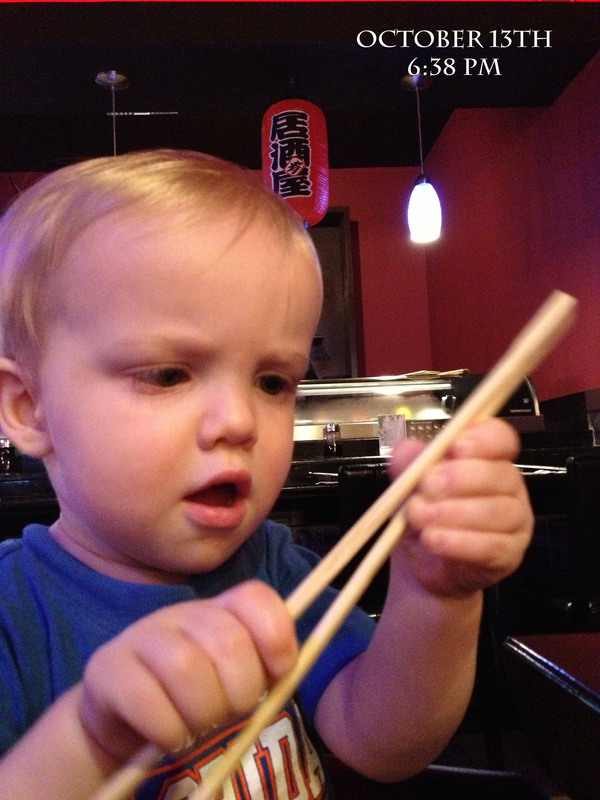 At the Japanese restaurant, you were determined to use the chopsticks and were surprisingly good at using them. After a long day, sushi was in order. 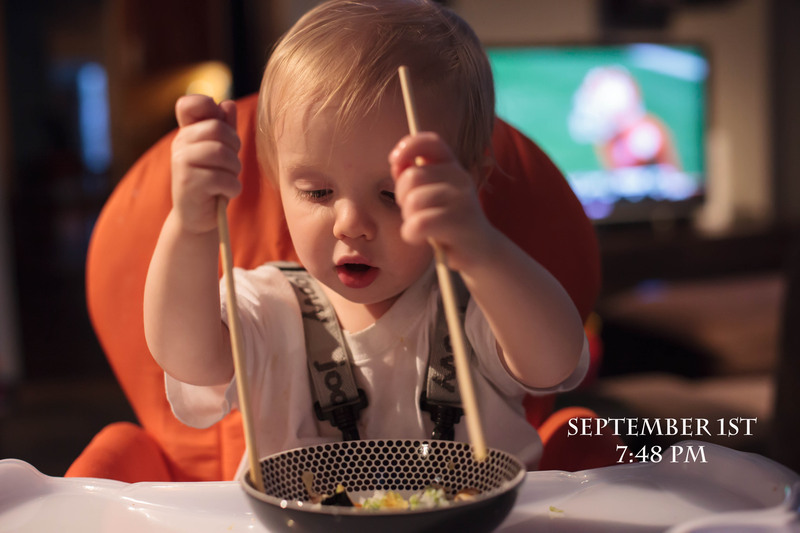 You loved trying to use the chopsticks.